IlliniCare, a private insurer that's part of Gov. Bruce Rauner's Medicaid managed-care overhaul, is cutting reimbursement rates to medical suppliers by up to 50%. The rate cut beginning on Jan. 1 impacts suppliers that provide durable medical equipment, such as wheelchairs, oxygen tanks and ventilators, to low-income residents on Medicaid. The move not only will impact suppliers' business, but could fuel their exodus from Medicaid managed care, leaving patients in the lurch. Sen. David Koehler, a downstate Democrat and a critic of how the state has further privatized Medicaid by outsourcing it to insurance companies, has proposed legislation to require that insurers pay suppliers as much as the state does. "I think we have to watch this very carefully because, especially in smaller towns, we may just cut off the supply that may be very vital to someone's health," Koehler said. In a statement, IlliniCare spokesman Danny Lysouvakon said the carrier's "top priority is to ensure our more than 200,000 managed Medicaid members have access to quality healthcare services. We work with our providers and vendors to align with the Medicaid program and be good stewards within its financial structure." He declined further comment. IlliniCare's rate cut comes as the Medicaid managed care program goes through a massive transition. 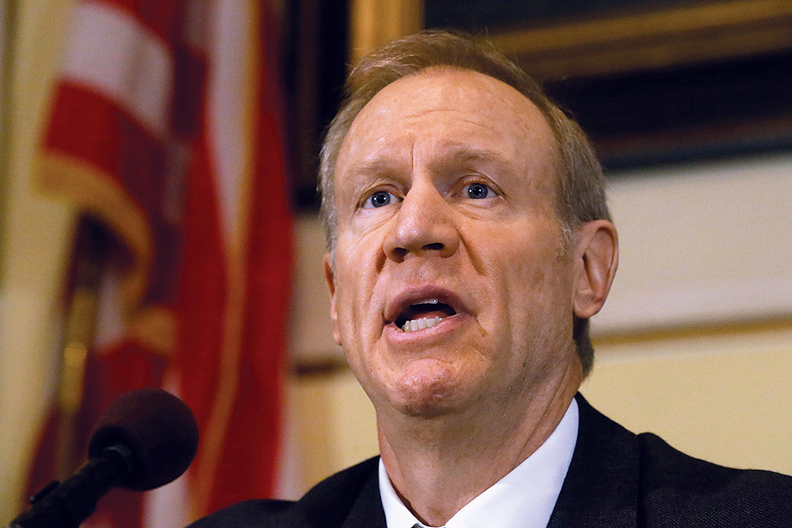 Rauner's revamped initiative is set to debut on Jan. 1. In managed care, the state pays private insurers to not just administer healthcare benefits to Medicaid recipients, but also to focus on prevention. The goal is to squeeze out savings for the state, while making enrollees healthier. Nearly 2 million Medicaid recipients, or 62% of all enrollees, are in managed care now. Under Rauner's plan, managed care will expand statewide with fewer insurers that likely will bulk up by taking on more recipients. He's awarding contracts to seven carriers, shrinking the pool from 12. Some didn't bid and exited the business voluntarily. That's led to a flurry of activity among insurers shuffling their patients to other plans. For example, CountyCare, an insurer run by the Cook County Health and Hospitals System, is scooping up enrollees who were covered by Family Health Network or Aetna Better Health. Chicago-based FHN did not bid, while Aetna, a subsidiary of the giant national insurer based in Hartford, Conn., lost. Back to IlliniCare, David Doubek, president and owner of Doubek Medical Supply in south suburban Alsip, received a letter from the insurer in September about the reimbursement changes. IlliniCare now pays around the same rates as the state, he said. "This is a pretty deep cut that IlliniCare has decided to take," Doubek said. "There's no explanation. There's nothing that I know of or any reason that they decided to do this." Perhaps this, he adds: "IlliniCare is going to make more money if they're paying us less." Insurers that won new managed care contracts did agree to be paid less by the state Medicaid program, though carriers presumably will cover more enrollees, and therefore generate more revenue. But no other insurer in managed care has cut rates so steep, Doubek said. IlliniCare isn't a big piece of Doubek's business, around 6%. But that represents about 300 customers who over the last six months were insured by IlliniCare, he estimated. They might have to find a new supplier. Doubek said he's leaning towards ending his contract. John Hoffman, a spokesman for the Illinois Department of Healthcare and Family Services, which runs Medicaid, said in a statement that HFS is committed to ensuring that insurers offer Medicaid members services and equipment. But "it is the responsibility of the health plans and providers to negotiate with each other to accomplish this within the framework of contracts, laws and rules overseen by the department." "IlliniCare slashing rates to Medicaid suppliers" originally appeared in Crain's Chicago Business.